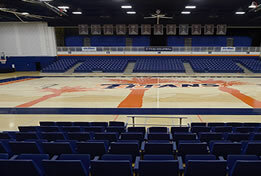 Welcome to Titans Women’s Basketball Camps at Cal State Fullerton. We are committed to providing a camp that is both instructional and informational along with creating a great atmosphere to learn! The coaching staff at CSUF is dedicated to the development and growth of basketball players of all ages and skill levels. Titans Women’s Basketball Camps offer an opportunity for players to receive valuable instruction on the elite skills of basketball. Our goal is to provide a positive and instrumental learning experience for all campers in a structured, enthusiastic and fun environment.